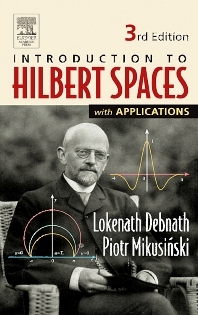 2-semester course on Functional Analysis or Hilbert space course for junior-senior-grad math students, Also researchers and others interested in math theory. Piotr Mikusinski received his Ph.D. in mathematics from the Institute of Mathematics of the Polish Academy of Sciences. In 1983, he became visiting lecturer at the University of California at Santa Barbara, where he spent two years. He is currently a member of the faculty in the Department of Mathematics at the University of Central Florida in Orlando. His main research interests are the theory of generalized functions and real analysis. He has published many research articles and is co-author with his father, Jan Mikusinski, of An Introduction to Analysis: From Number to Integral.